The total solar eclipse of August 21 2017 is vitally important for American education because it will amaze so many young people and elicit basic questions about our place in the solar system. In a small way, the eclipse is this young generation's Apollo moment and more than a few students will be inspired to seek an education in the sciences. For all students, it will be a vivid display of our solar system in motion and a sight of unimaginable beauty to remember for a lifetime. We recommend these resources and books for teachers, students, and libraries. Solar Science: Exploring Sunspots, Seasons, Eclipses, and More by Dennis Schatz and Andrew Fraknoi (2016, National Science Teachers Association Press.) A book of 45 inquiry-based activities about the Sun, aligned with the national and state science standards. It includes detailed instructions and background information, so even teachers without background in astronomy can quickly get up to speed. Special issue of The Universe in the Classroom, the newsletter for teachers of the Astronomical Society of the Pacific, on eclipse activities. A free 36-page booklet from NASA’s STARNet Library Network explaining the eclipse for librarians and linking them with partners in their communities to help them to public outreach about the eclipse. Total Eclipse or Bust: A Family Road Trip by Patricia Espenak (AstroPixels Publishing). 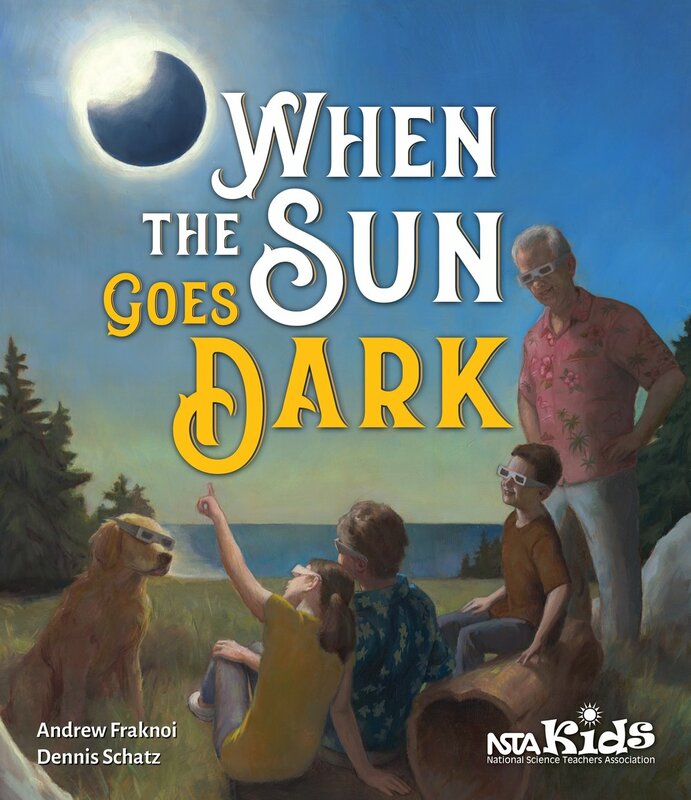 A book getting kids ready for the 2017 eclipse with lots of background information about the science and observation of eclipses. What's Up with Eclipses?” Naomi Pasachoff, Editor. January 2017 issue of Dig Into History vol. 19, no. 1 (Cricket Publishing). Available at: http://shop.cricketmedia.com/eclipse or 1-800-821-0115. A guide to eclipses for ages 9-14. Young people will enjoy The Big Eclipse and The Activity Book - The Big Eclipse by Nancy Coffelt. This book explains basic eclipse viewing safety and what hippos do during totality! A high-school student with an interest in science will enjoy our book, See the Great American Eclipse of August 21, 2017. Includes two eclipse viewing glasses and detailed maps for your August road trip.